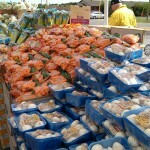 Tadych's Econo Foods One Day Outdoor Truck Load Sale! 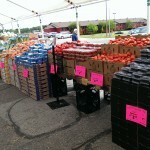 Tadych’s Econo Foods One Day Outdoor Truck Load Sale! 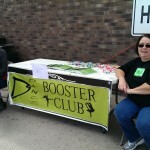 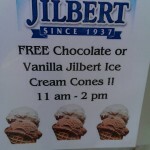 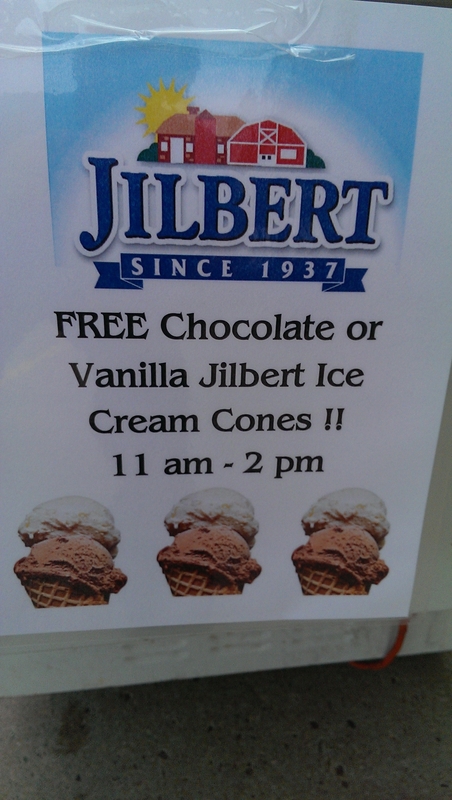 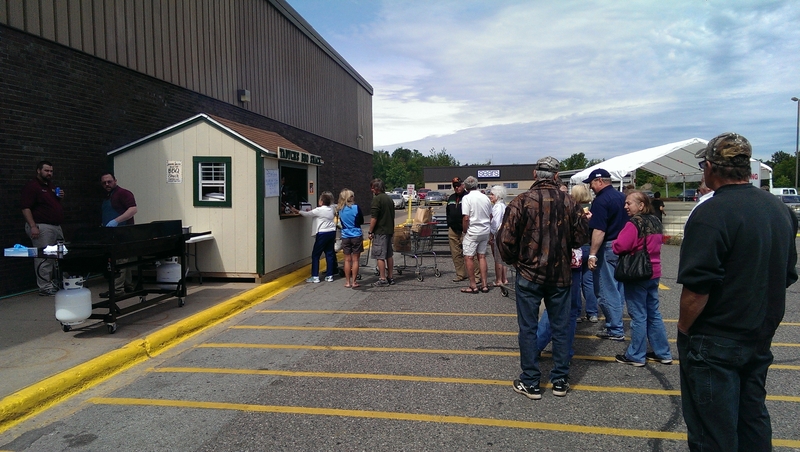 MARQUETTE, MI – June 21st, 2014 – Whenever there’s an event in the community, you can bet that Major Discount will be on the scene. 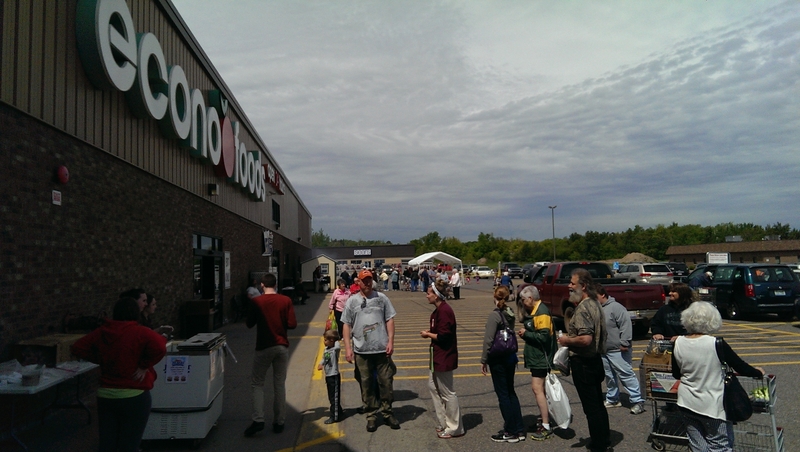 It was no different last Saturday, as the Major, along with fellow GLRer Bill Tibor, made their way up to Econo Foods for their One Day Outdoor Produce Sale! 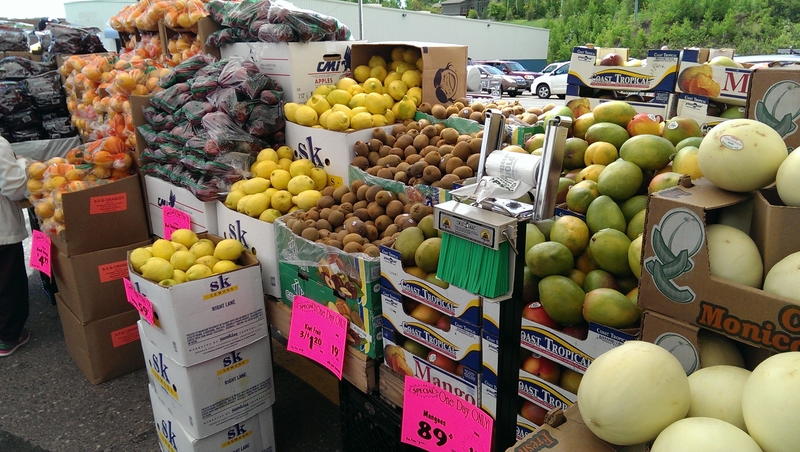 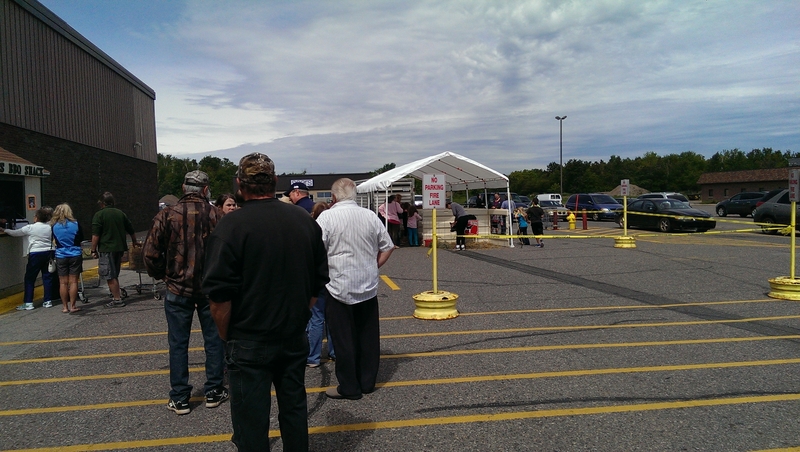 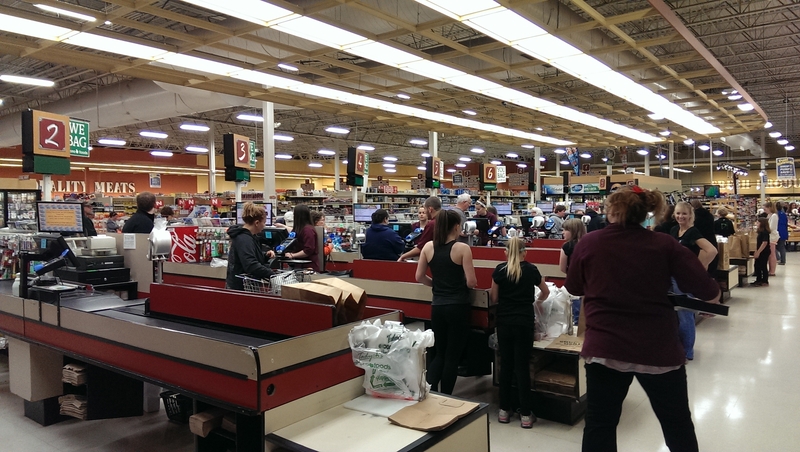 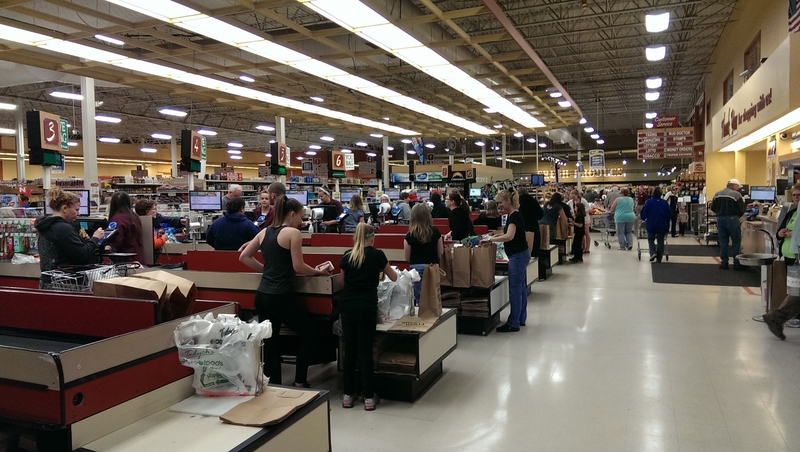 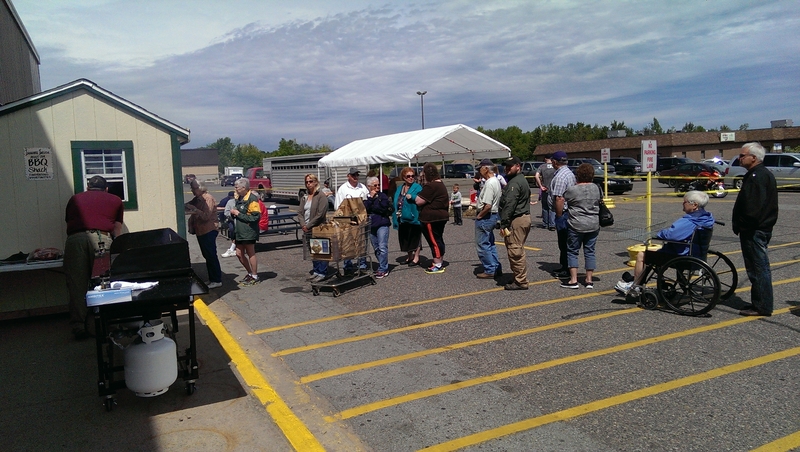 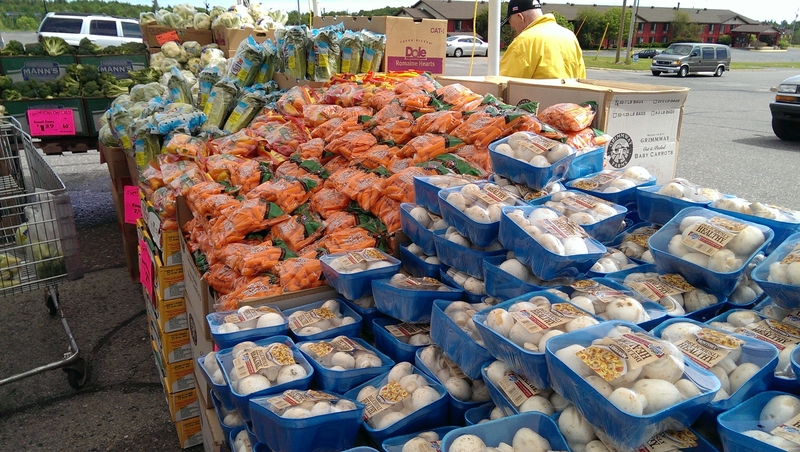 With hundreds of people turning out to buy some fresh and delicious produce, Major Discount was able to see the great deals that was offered at Econo Foods of Marquette! 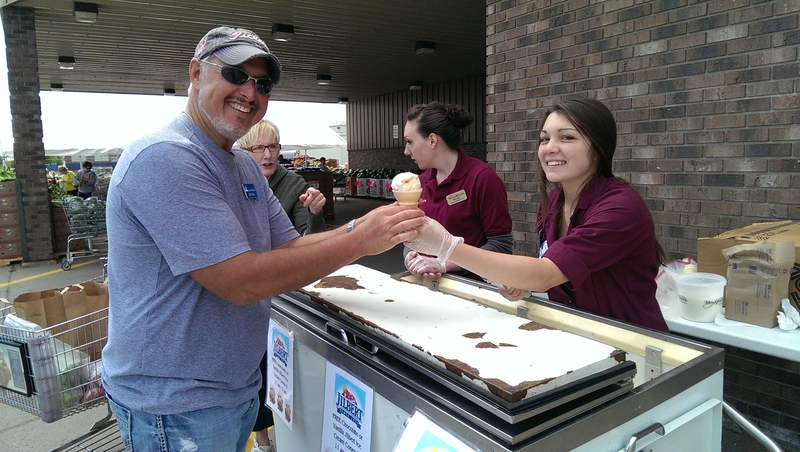 With a produce tent, a steak hut, a “ka-bob” stand, and even an ice cream cart, this event had everything to offer. 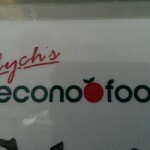 While the Major may say he had to do all of the work, he did get to snack on some delicious food while he was down there. 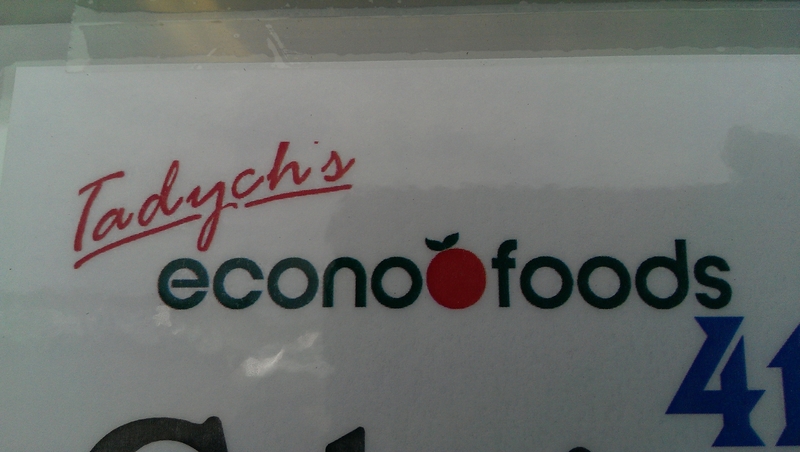 He got to eat some steak sandwiches, and even made a ka-bob or two. 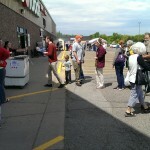 He also got to stop and talk to some shoppers, employees, and even a bride to be on her wedding day! 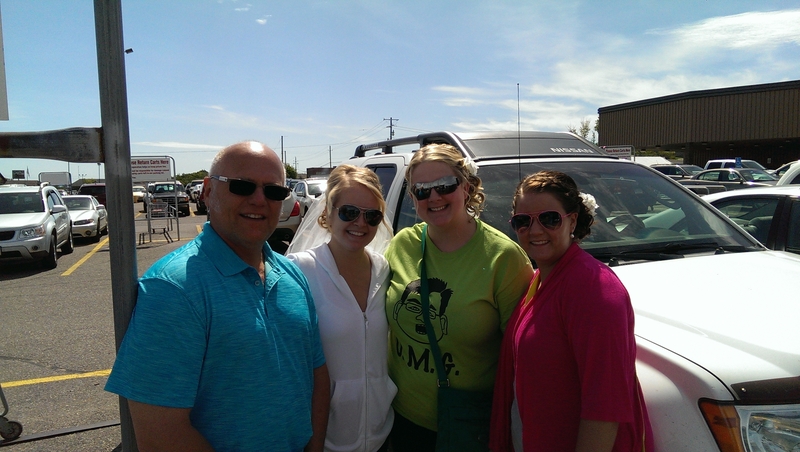 If you’d like to hear what the Major had to say, just click the link below! 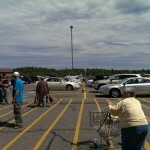 Major Discount LIVE at Econo Foods of Marquette! 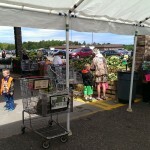 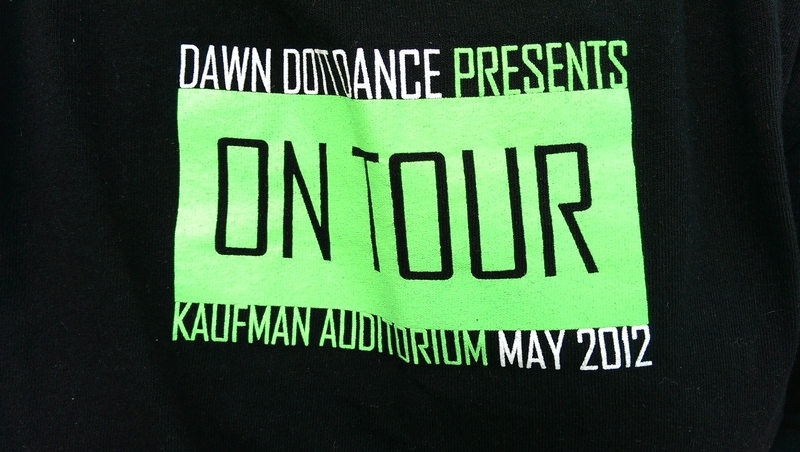 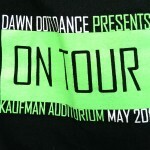 If you missed the fun this past Saturday, don’t fret. 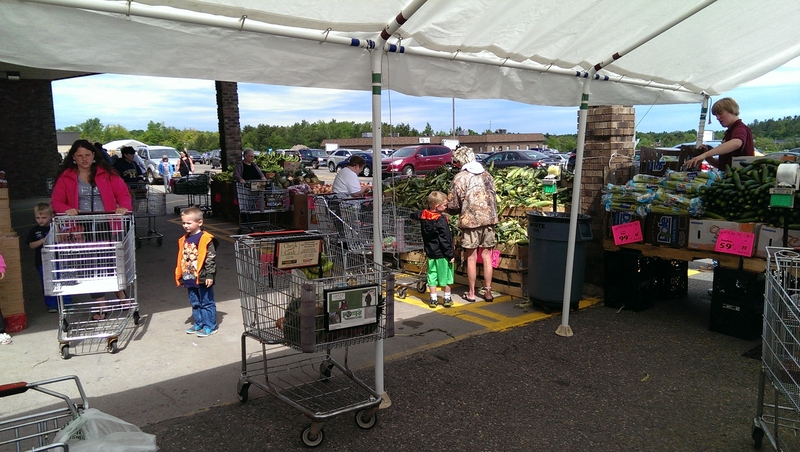 You can always go up to Econo Foods and buy some delicious steaks, the freshest produce, and the best selection of foods in Marquette! 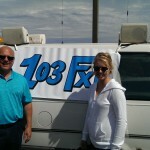 Keep up with us here on 103-FXD and find out about all sorts of goings on in the Upper Peninsula! 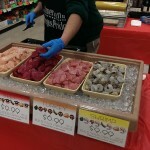 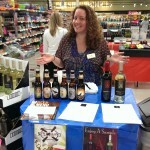 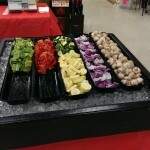 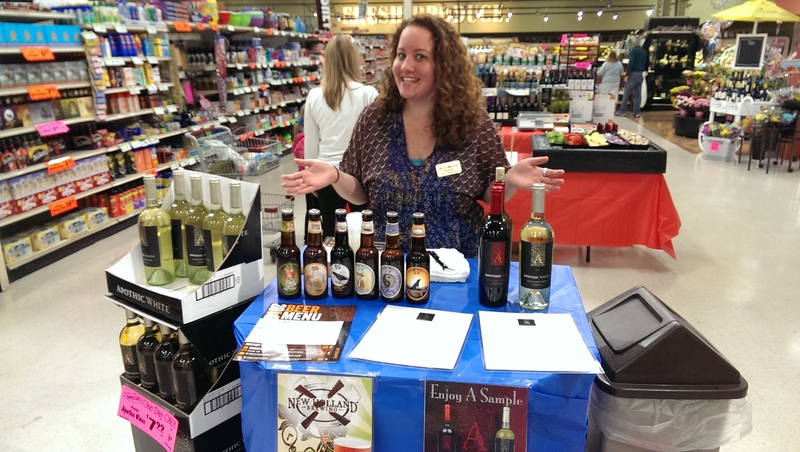 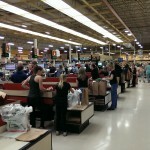 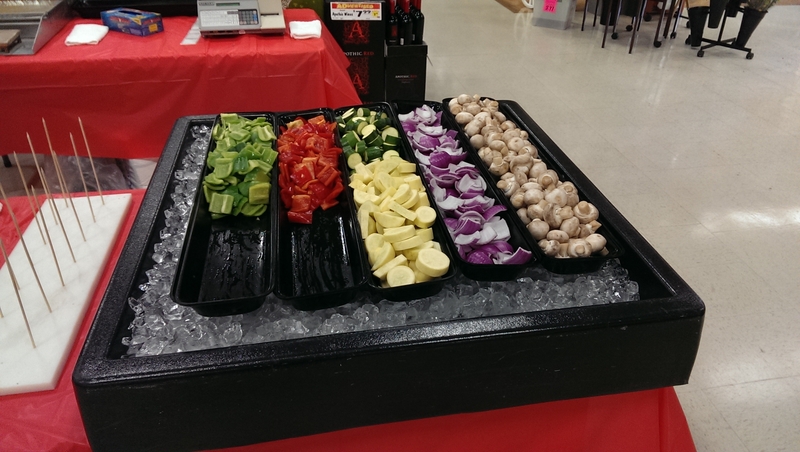 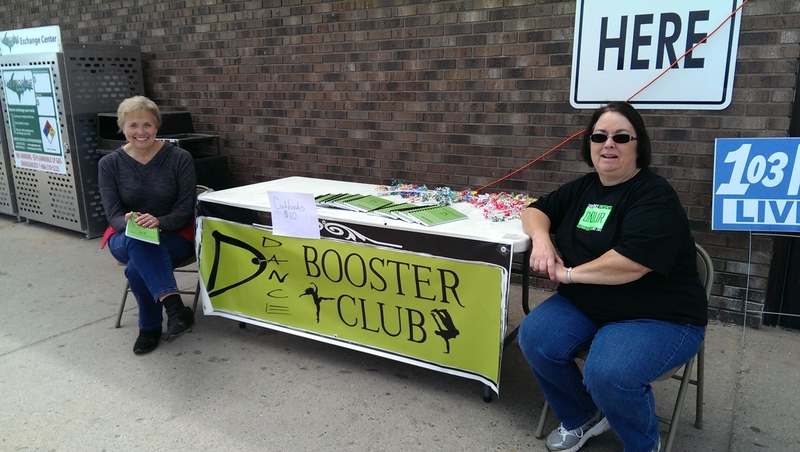 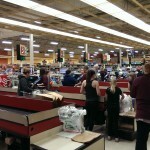 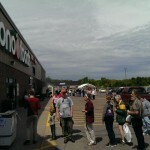 Be sure to check out all the pictures of the fun at Tadych’s Econo Foods on June 14th! 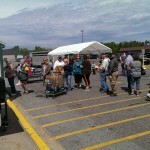 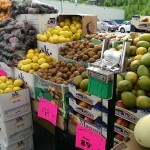 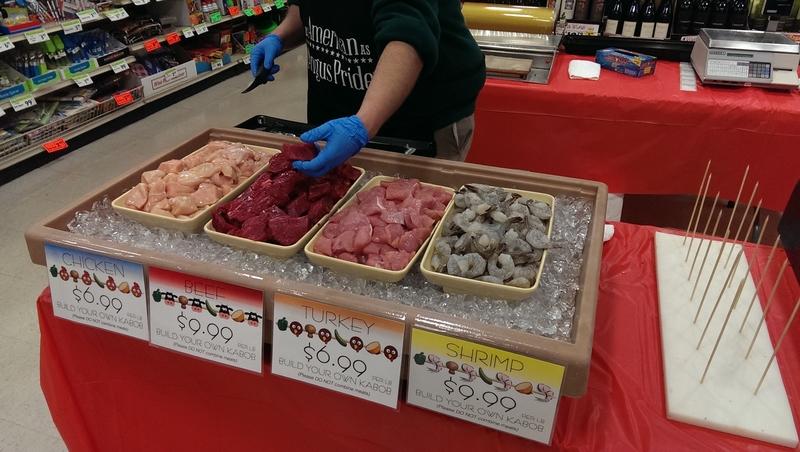 Econo Foods had your back last Saturday! 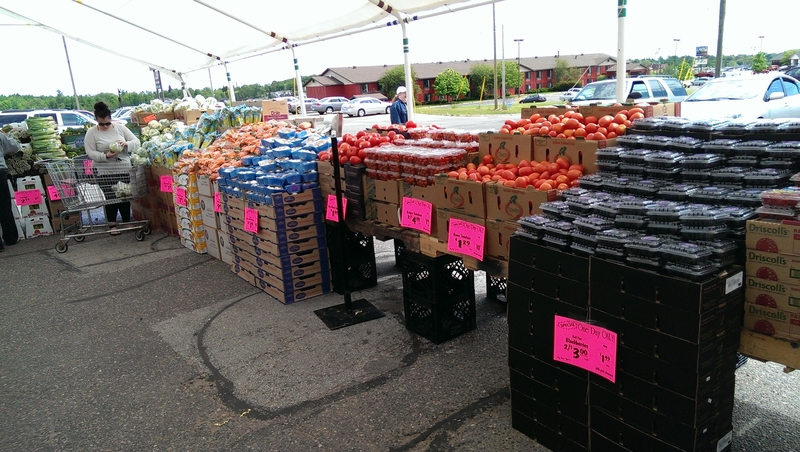 The tomatoes are ripe and the blueberries are delicious at Econo Foods! 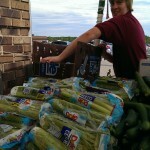 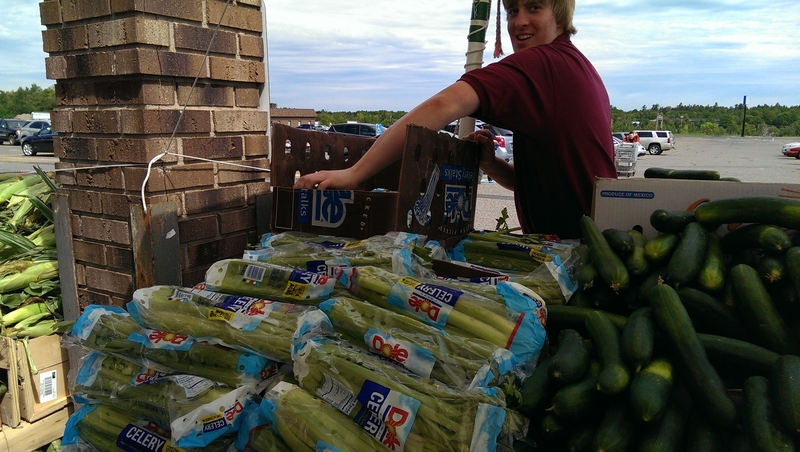 4 H's Phils Talsma is working to restock at Econo Foods of Marquette. 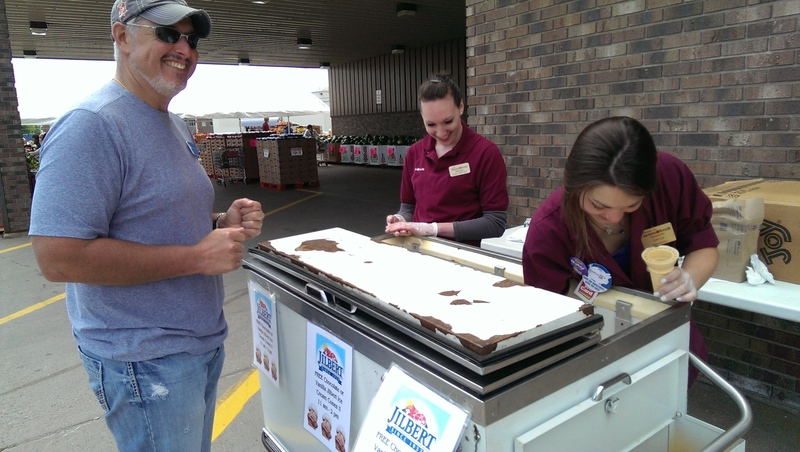 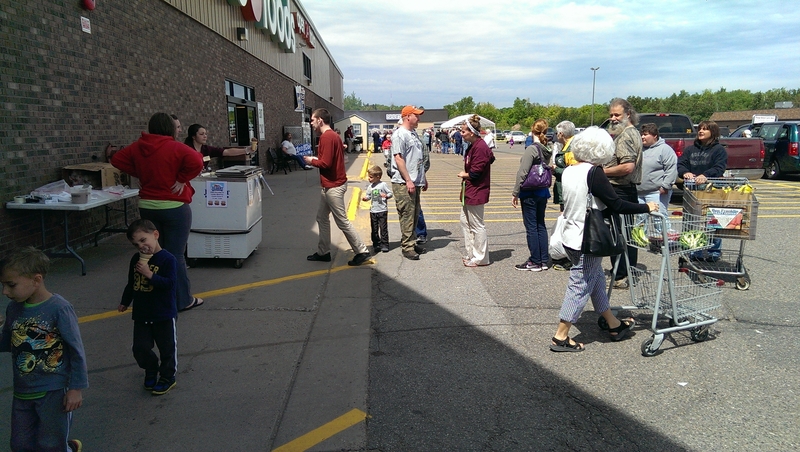 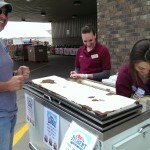 The ice cream line go long at times during the 103-FXD broadcast at Econo Foods in Marquette! 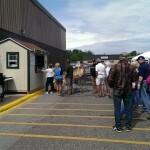 The animal petting tent is on the right side of the line. 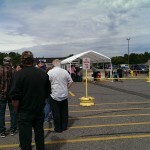 Rightfully so, the line at the BBQ line got pretty long. 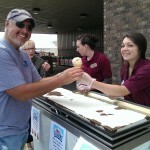 After much begging... Bill finally gets his ice cream. 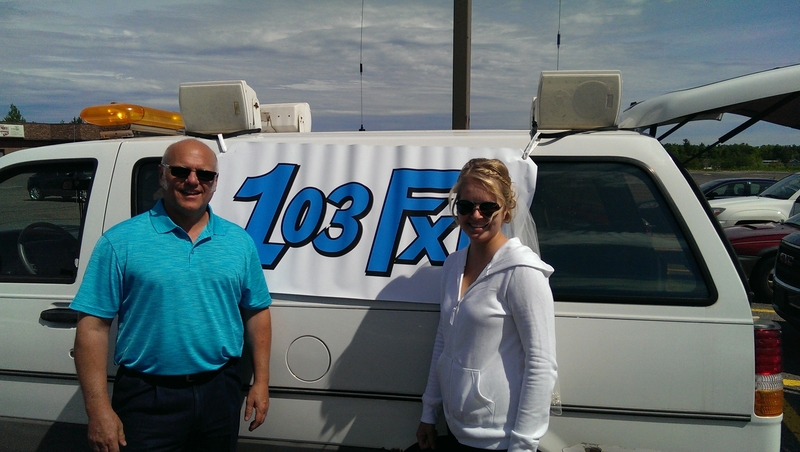 The radio guys promoted an event with some good prices, and even better food. 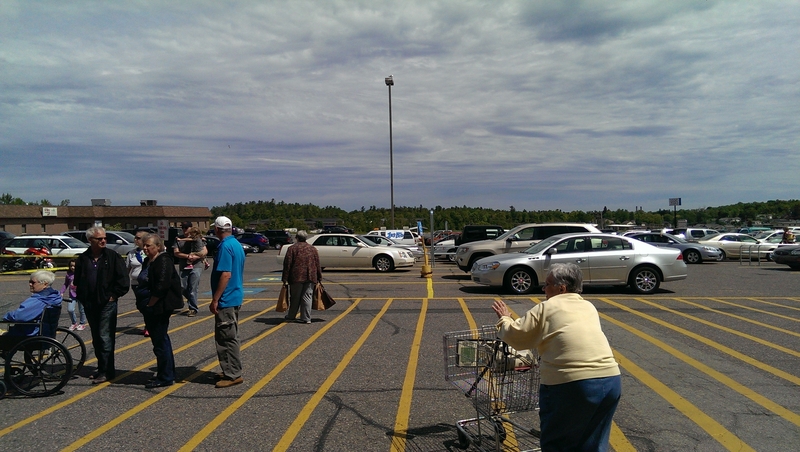 Not even her wedding was stopping this Negaunee bride-to-be from getting some great deals at Econo Foods! 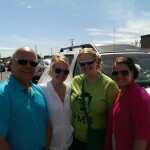 Major Discount and the Negaunee bride-to-be on a a last minute wedding run.